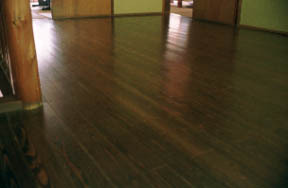 It seems that it will be built from meiji six years here, and it is left behind, without a stone wall, a building, a life, and humanity changing.The wooden floor of the pure Log in which paint is not carried out and which polished and was full makes the life which was pleasant for bare feet and did not have slippers recollect.There is true relaxation which is not in what was directed, and it considered the inn suitable for calling it "the country mansion of homesickness. 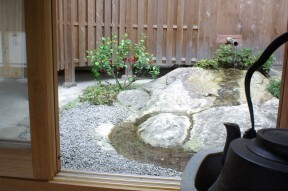 "Although there are five rooms in the second floor, it takes a guest room only to 2 sets.Although it will imagine that a big-ticket inn says that it is to 2 sets of limitation, the husband of a country mansion is a low charge and, moreover, does the above reception more.Use and a family bath are also no charge about the public bathhouse which owns a hot spring. Un Okude's delicacies from the mountains, delicacies from the sea of the Sea of Japan. It is a wild boar (the product from a stock farm, the female of 2-3 years old) in the natural sweetfish of Hii River, and winter the wild grass of the ground, and a July to the middle of the month of a September in spring. 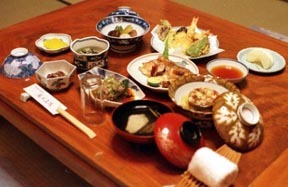 * It responds to consultation of the content of a dish. 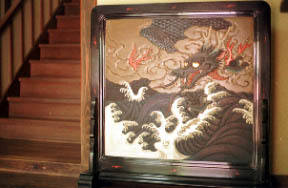 The photograph used by HP. 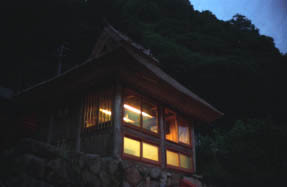 * And a supper and breakfast interchange by "the restaurant of a sunken hearth", and "room foods". 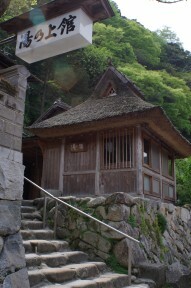 [ 2 sets ]Usually, appearance becomes a supper with a sunken hearth restaurant in large numbers. It seems to be pleasant if a nap is taken in summer. 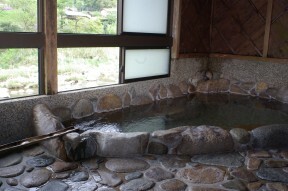 The Yumura Spa public bathhouse is an indoor hot spring. 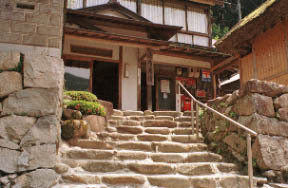 They are use and the man and woman each 1 about the Yumura Spa public bathhouse. 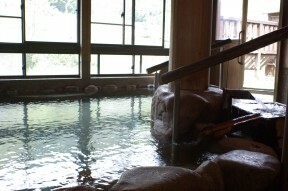 It is 1 to the Yumura Spa public bathhouse. * An Open all year round, one day trip bathing good, lodger no charge. 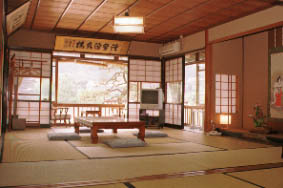 Up to five Japanese-style rooms and 2-set 18 persons.